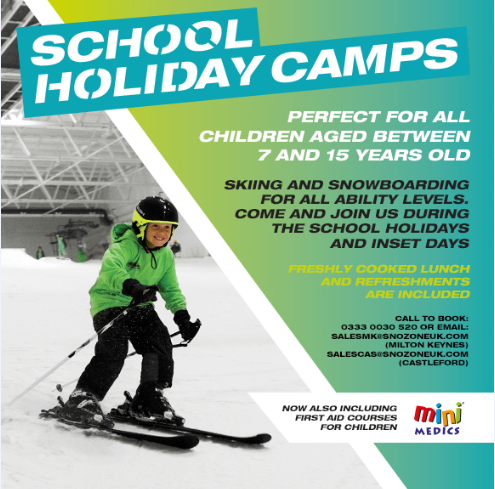 Learn to ski or snowboard in time for your snow sports holiday with our Ready Steady Snow! package! Our Ready Steady Snow! package is incredible value, offering 9 hours of lessons for adults or 6 hours for juniors. You’ll be skiing or snowboarding with confidence in no time! Don’t delay in booking and redeeming the Ready Steady Snow! package – it’s only on sale until 30 November and available to redeem until 16 December! To purchase and redeem your Ready Steady Snow! package call one of our friendly advisors on 0333 0030520. Non-Members click here to purchase the package for Milton Keynes or Castleford. Previous Previous post: Give the Gift of Snow with our great value lesson package!